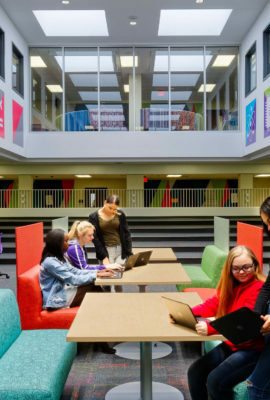 Inspired by Google and Apple workplace environments, open collaboration areas within the new Northwood PK-12 School allow students to learn in a flexible, relaxed and stimulating space. 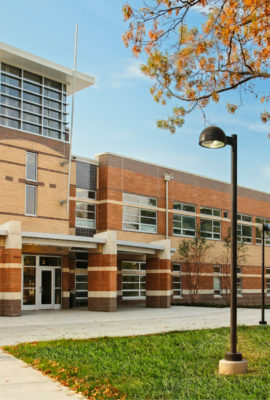 The new Northwood PK-12 School represents a dramatic change in the district’s approach to education. 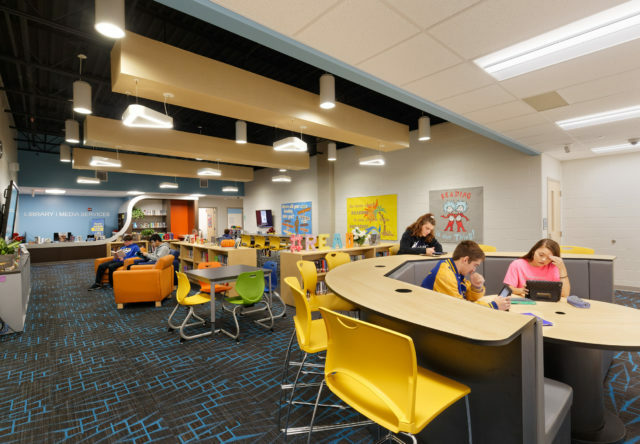 The design for this 21st century building replaces the traditional media center with a research commons in every small learning community. 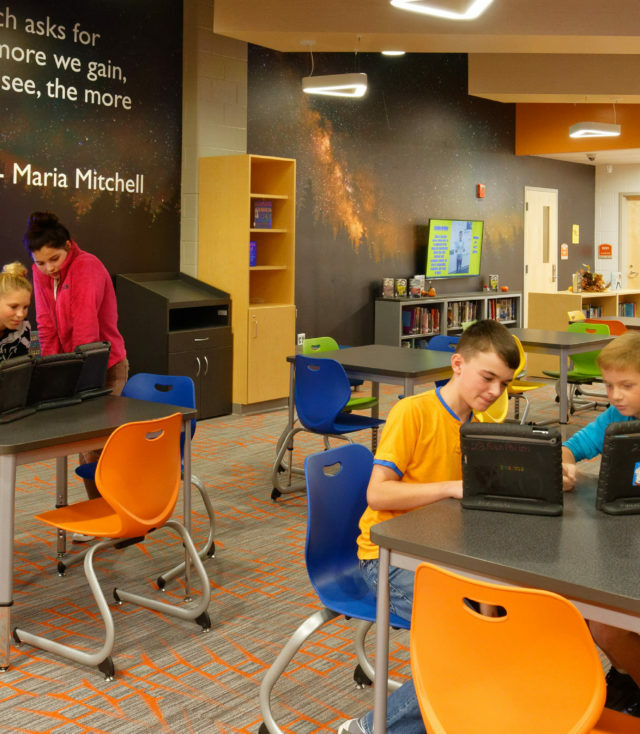 Flexible furniture and integrated technology throughout support collaboration and project-based learning. 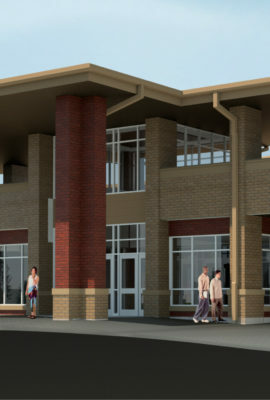 The design preserved historic elements of the old school amidst the modern, inspirational spaces. 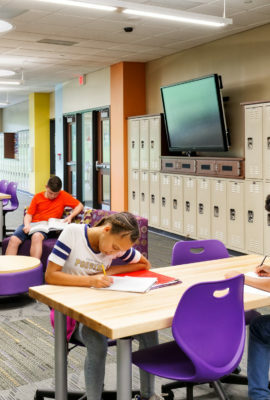 The new school is made up of small learning communities, each which contains a central research commons. 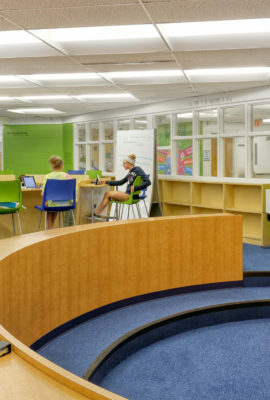 Flexible furniture and integrated technology support collaboration and project-based learning. 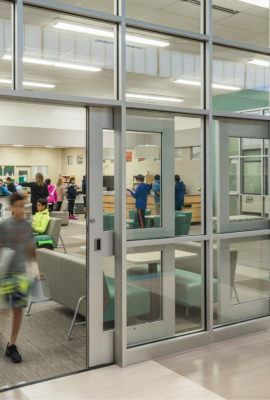 Operable walls between classrooms and shared spaces provide limitless flexibility for students. 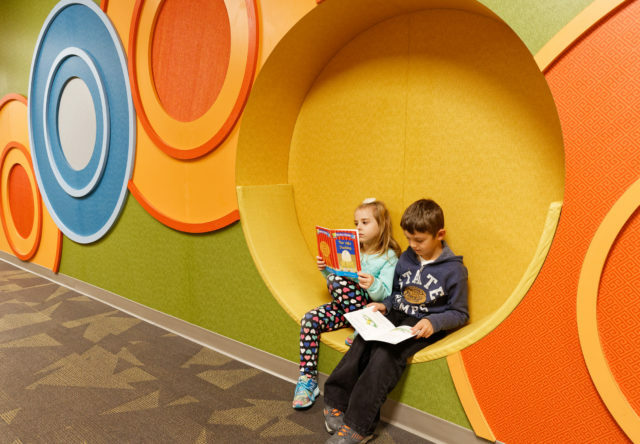 Reading nooks for younger students provide quiet spaces for individual study. 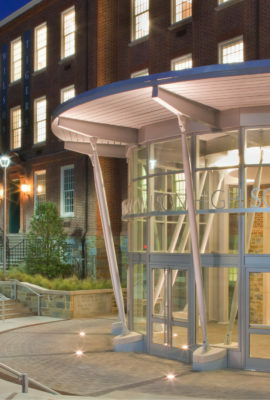 The design preserved historic elements of the old school amidst modern, inspirational spaces. 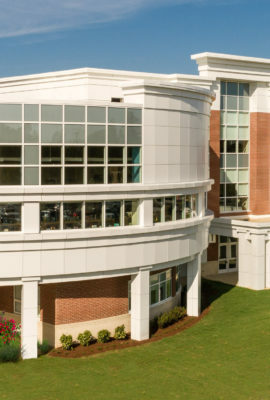 The new state-of-the art facility is really serving our kids really well. 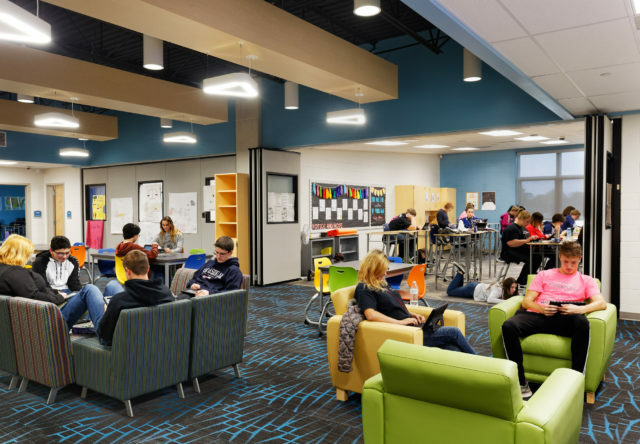 The 21st century design creates collaborative spaces for teaching and learning that we just did not have before. 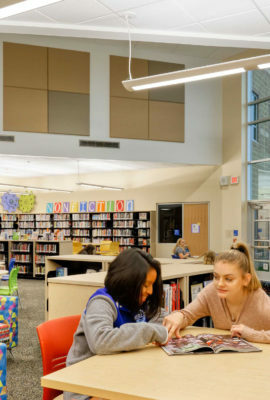 The fact that you were able to harvest natural light creates a positive learning environment and makes for a more pleasant atmosphere.